Celebrate National Heritage day with this side dish and boerewors at a braai. 1. Stir together all ingredients for dressing and set aside. 2. In a large bowl, add the beans, chickpeas and red pepper and stir to combine. 3. Pour dressing over the salad ingredients and stir gently to coat. 4. Cover and allow the salad to marinate at least 1 hour. 5. Remove from the fridge, add feta cheese and chopped coriander and stir to combine. 6. Season to taste with salt and pepper and enjoy! 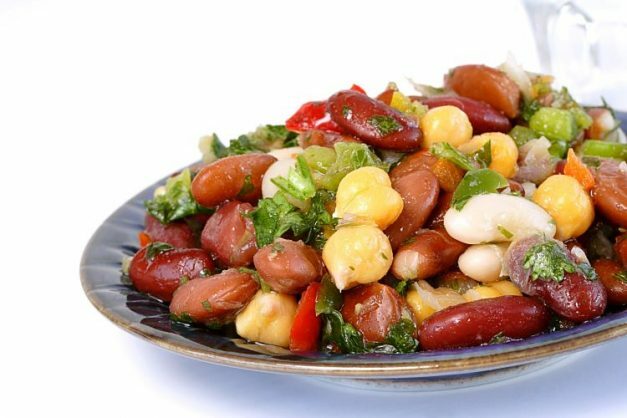 The bean salad lasts a long time and can be enjoyed the whole week, if there is any left over.